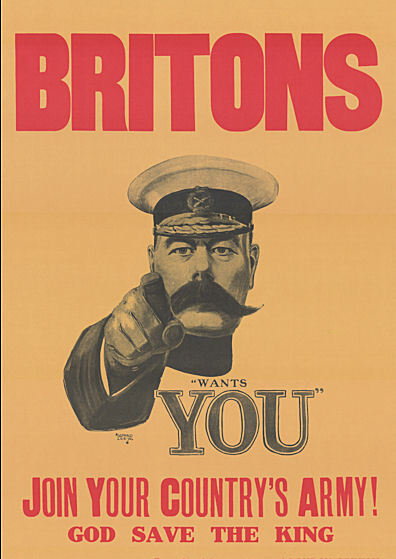 Sent on a mission to Russia in June 1916, Lord Kitchener (1850—1916) drowned 100 years ago on 5 June when his ship, HMS Hampshire was sunk by a German mine off the Orkneys. Surprisingly, little is written about him, either his service as British secretary of state for war in the first years of WWI, when he organized the empire's armies on an unprecedented scale, or his earlier distinguished service. Not in order to devalue the army, but in honour of the old army and as a warning to coming generations, do I lay a finger on the wound that is Moltke. 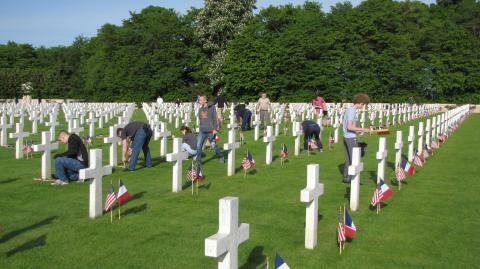 The American volunteers serving in the Lafayette Escadrille first caught the world's and America's attention during their four months' service in the Battle of Verdun. 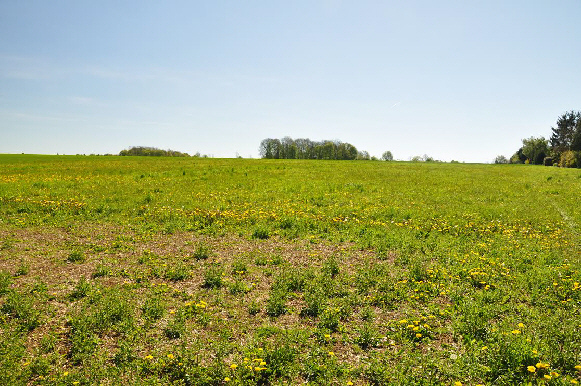 After an initial month of service at Luxeuil near the Swiss border, the new squadron was transferred into the Verdun sector to the Behonne Aerodrome near the village of Bar-le-Duc, about 25 miles southwest of Verdun. 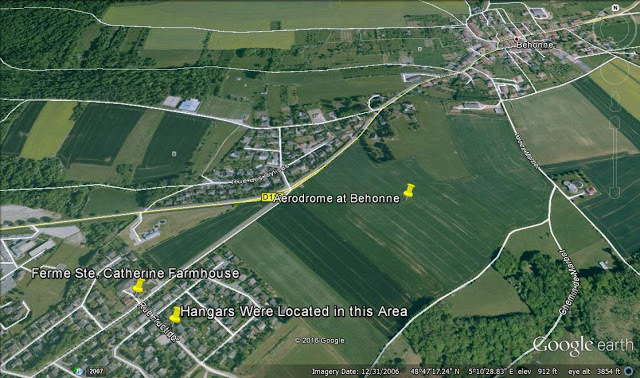 Furnished with some excellent reconnaissance photos from author Steve Ruffin, I decided to include a visit to the Behonne Aerodrome — still an open farm field with some original buildings existing — as part of my recent 1916–2016 Verdun In-Depth battlefield tour I was leading on behalf of Valor Tours, Ltd. I look back to the visit now as a pilgrimage. 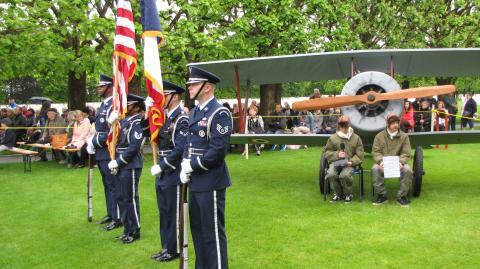 We made our visit in May, precisely 100 years after the squadron arrived at Behonne. For a week in July, the French Air Force pilot Lieutenant Charles Nungesser flew with the Lafayette Escadrille. Nungesser went on to become one of France’s great aces, with 45 victories. 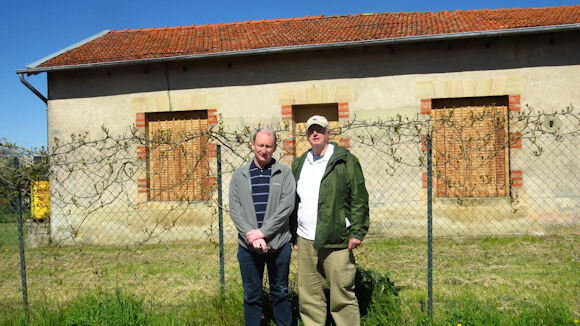 Founding Escadrille member Bill Thaw on the left alongside legendary French ace Charles Nungesser. Nungesser was attached to the squadron for a short time while recuperating from injuries he received in a crash. 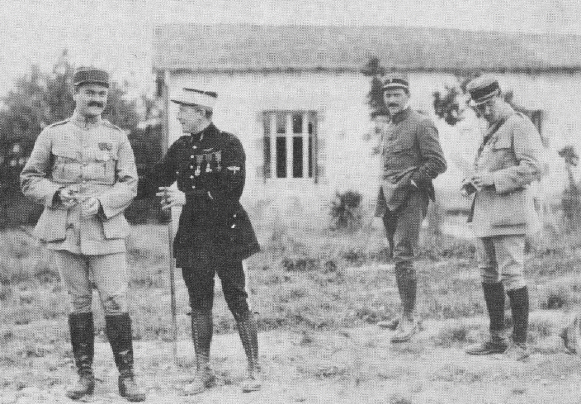 Capitaine Georges Thenault (far right) was the commander of the squadron. In the background is the old Ferme Ste. Catherine farmhouse at Behonne Aérodrome, Bar-le-Duc, France in 1916. 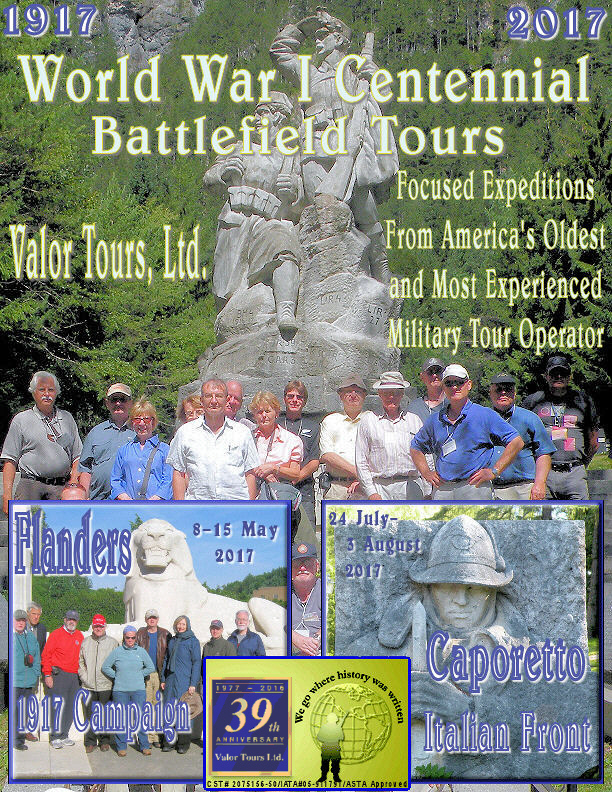 Let's recognize the great contribution made to the Centennial commemoration by the Great War reenactors. They don't just add "color" to events, they bring those who made our present-day world to us in a concrete way. "Living History" is what some now call it. 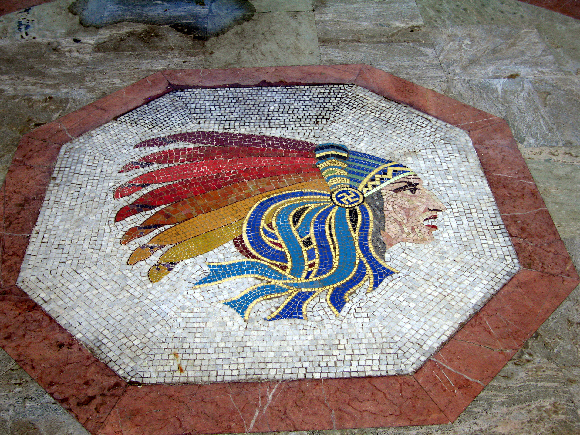 At ceremonies and seminars, and in reaching out to young people, they help remind us that while things were different back then, those people who sacrificed everything they had for us were like us and connected to us in wonderful ways. 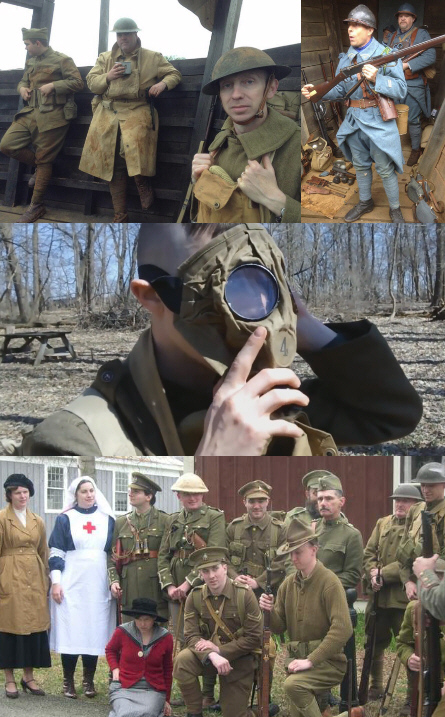 Reenactors are all born educators and love to share what they have learned about their uniforms, weapons, gear, and the units they identify with. Not to get too highfalutin, but I just love these folks because they absolutely ignore the modernist trend of rejecting the past and all prior human experience as irrelevant. They live out Faulkner's wisdom: "The past is never dead. It's not even past." 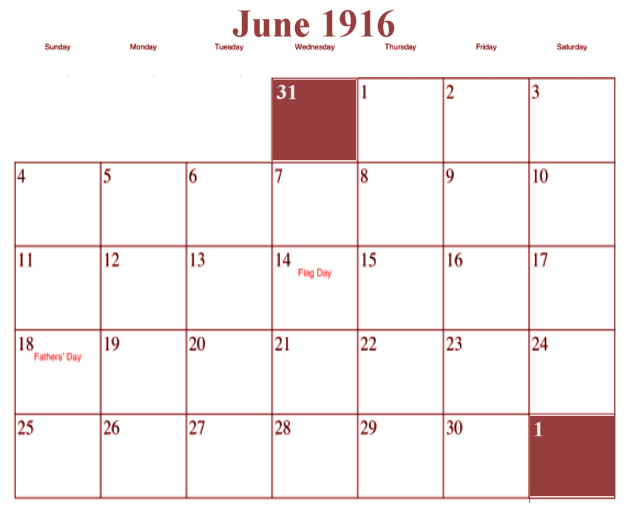 Stretch June 1916 a little, adding a day at each end — 31 May and 1 July. This minor astronomical adjustment allows adding two monumental events, to what was already a hyperactive period. In hindsight, we can see a different kind of war after this Long June. Collectively, they had changed the game, and other forces — not evident to the combatants at the time — had been set loose or were accelerated. Despite some tactical successes, Germany discovers her big ship-building program has been a waste and must look to submarine warfare. This will inevitably bring the United States into the war. A success of the Preparedness Movement, the legislation expands the standing army and the National Guard, creates the Army Air Division, establishes the Reserve Officer Training Corps, and facilitates mobilization should war come, which it did 10 months later. Russia's biggest "success" of the war will cost one million killed and contribute to the demoralizing of the army. For the Central Powers, Austria-Hungary's military will be decimated and become utterly subordinate to Germany's. Much is still debated about the military importance of the Arab operations partly led by T.E. Lawrence, but the political importance of Sheik Hussein and his sons siding with the British at this time is undeniable. For the British Empire, Gallipoli had been a failure, the surrender of Kut had been a disaster, and the Ottoman Sultan's call for jihad was still in force. By siding with the British, Feisal guaranteed that the Arabs would not be unified against the Allies, that Egypt would remain a safe base of operations for them, and that Allenby's advance would not have to worry about a huge and open right flank on its march north. What it meant for the Middle East of today is complicated and beyond discussion here. Refocusing on the right bank, Germany attempts a concentrated offensive to capture Verdun that is ultimately defeated in July by French artillery. The appalling casualties, however, will take a near-fatal toll on French Army morale. The greatest battle of attrition in the West will bring a most critical problem to everyone's attention: the belligerents of 1914 are now running out of men — the war cannot go on forever. 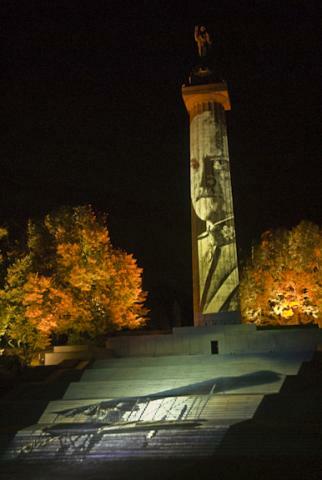 Germany, under Hindenburg and Ludendorff, will consciously wage "total war." The Allies, being more populous, will continue trying to wear down the opposition. All-in-all, the Long June of 1916 led to a different kind of war in 1917 and 1918 and, eventually, a different world thaN the politicians and people of 1916 thought they were fighting for. 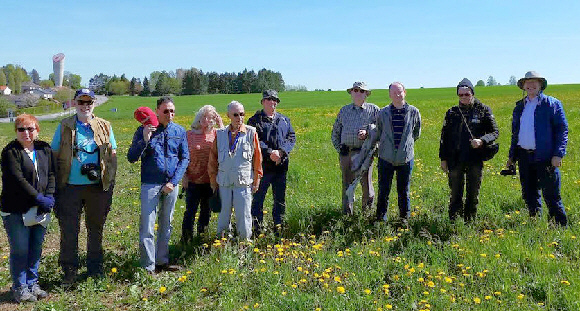 Visiting the Hawthorne Mine Crater, the Soccer Balls of the Somme Site, and Where Alan Seeger Met His "Rendezvous." 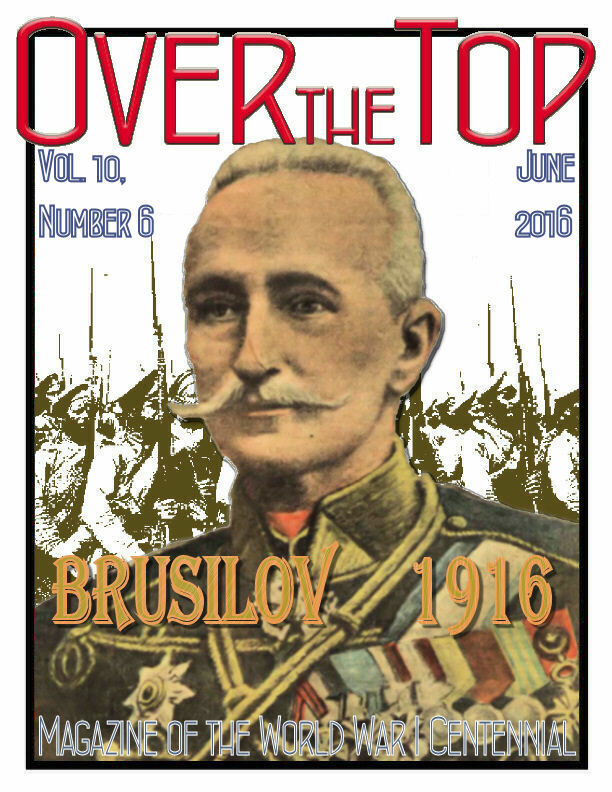 I am recommending the classic account of 1 July 1916, the best single volume history of the battle I know of, an account of the German experience, and the best and most thorough battlefield guide available, from my friends Toni and Valmai Holt. Was There a Coal Gap? 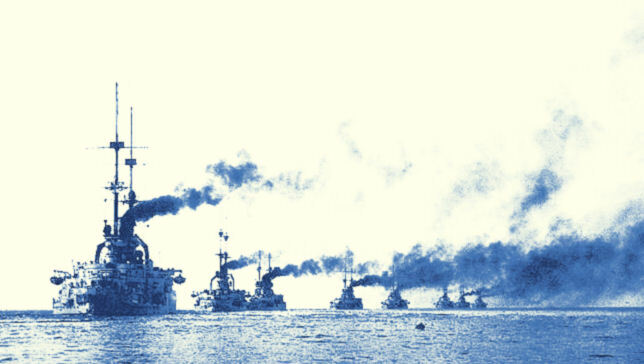 Most of the big ships that fought 100 years ago at Jutland, except the Queen Elizabeth-class battleships of the Grand Fleet's battlecruiser squadron, were powered by coal. According to Royal Australian Navy admiral and historian James Goldrick, German coal was of an inferior quality throughout the war. All things being equal, this should have given Royal Navy ships an operational advantage throughout the war. But there has not been a lot of research on this matter. Coal-burning ships were absolutely dependent upon the quality of that coal in reaching their designed speeds and maximum endurance. The best coal was Welsh. There was good coal in other parts of the world, such as Southport in New Zealand, but the majority of countries did not have access to such stocks – German coal certainly does not seem to have been of the same quality for steaming coal. The difference could be extraordinary. At an extreme, trials in the battlecruiser Australia demonstrated that, while she used 10 tons of Welsh coal and 15 boilers in an hour to achieve just over 16 knots run (her designed speed was 25 knots), she required all 31 boilers and 16 tons per hour — supplemented by a large amount of oil — to achieve the same speed and distance run using Australian coal. 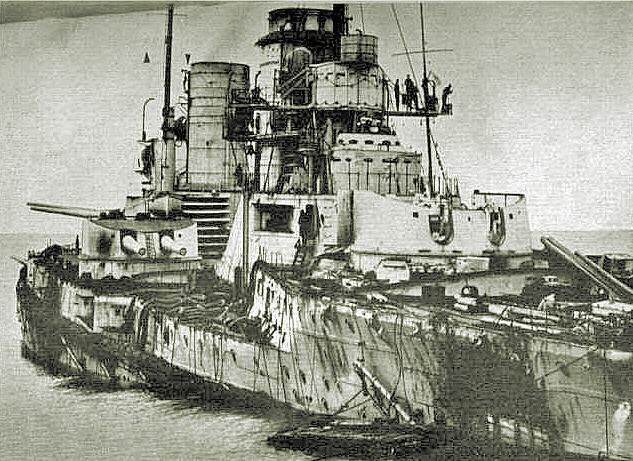 Differences of this magnitude meant profound differences in the operational capabilities of both individual ships and of fleets, but we know very little of how the issue worked itself out in their employment — even with evidence such as the battlecruiser Von der Tann’s plaint during the abortive High Seas Fleet sortie of April 1918 "Cannot do more than 21 knots on account of bad coal, coal consumption 50% higher than usual!" In any case, Admiral Goldrick thinks this coal gap has been neglected in earlier naval histories of the war and is worthy of further study. In general, 1915 was a miserable year for the BEF, with every kind of equipment in short supply. On the other hand, it was also a period of experiment and incubation of what, in some cases, turned out to be priceless new techniques. As one novelty breeds another, photo reconnaissance, having appeared, was much in demand — and so, on both sides of the line, was prevention of enemy photography, leading quite naturally to air combat, in turn calling for specialized aircraft . . . the necessity to seize and hold air supremacy was perceived [by] 1915. 1915 . . . saw the first step taken toward the ultimate war-winner. 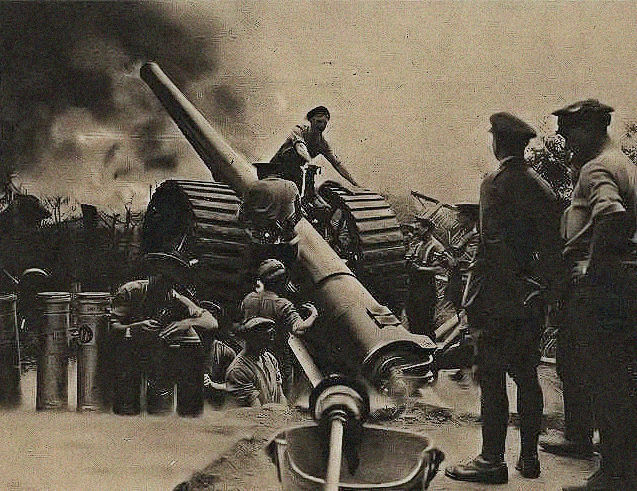 In the artillery war. . . in the words of two Royal Artillery brigadiers, who have researched firepower with such authority . 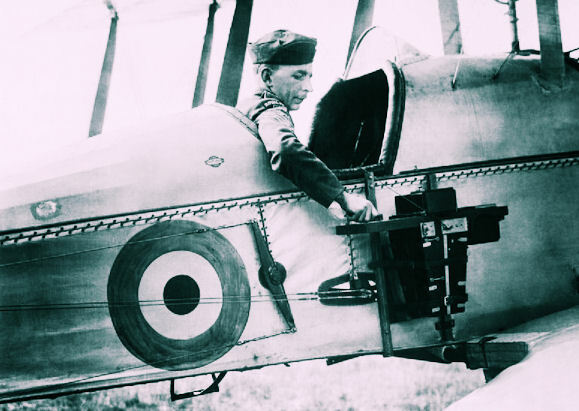 . . the "starting point" and pivot was the Royal Flying Corps pilot. The artillery war was, from the first, almost entirely conducted by "indirect fire," i.e., the gunners of all armies were normally shooting at invisible targets.  This made possession of an accurate map essential — accurate, that is to say, to within 15 to 20 yards. No such thing existed in 1915, so the decision was taken to have one made by the newly formed Field Survey Companies of the Royal Engineers, working closely with the RFC. From this derived many hours of tedious but highly dangerous photographic flying for the RFC, but for the artillery the opportunity came to restore surprise and precision to battle — which it duly did at Cambrai in November 1917. And this technique, in the hands of [both] the Germans and Allies in 1918, supplied the key to unlocking the trench-bound front. [For the British Army] this could not have been done without the RFC, and in conjunction with the rest of its day-in, day-out cooperation with the Royal Artillery. This constituted in my opinion the most important contribution of the Royal Flying Corps to winning the war.